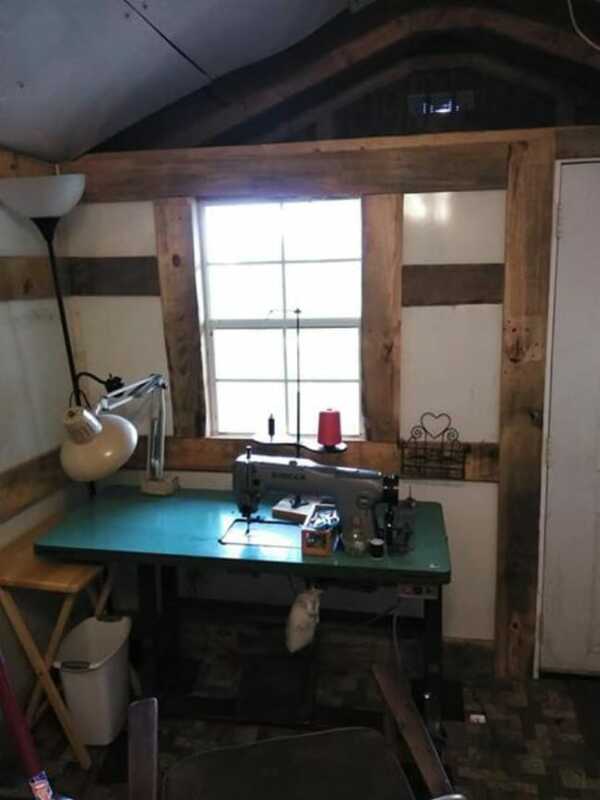 Looking for a backyard studio or workshop, or maybe a she shed? 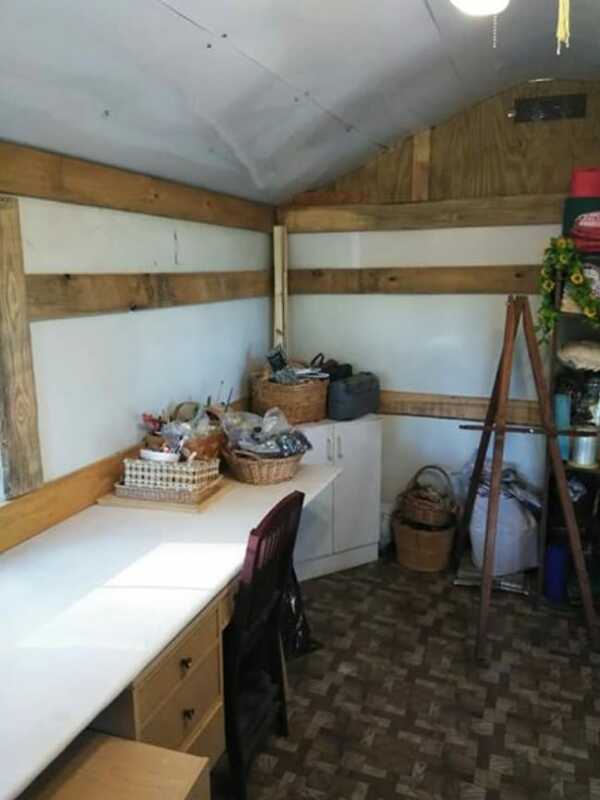 One tiny place you could call your own for just $12,000 is this 300 square foot tiny house/workshop. It is a crafter’s dream come true, currently located in Inman, South Carolina. What makes this purchase really amazing is everything which is included in it. You are not just getting the house for $12,000 (which would already be a good deal), but everything inside it. That includes a wide array of crafting supplies for sewing and textile art. You get a couple of vintage sewing machines along with all sorts of fabric, ribbon, thread and so on. The house features a wide porch, perfect for relaxing outside in the fresh air. You could even do some work outdoors if you wished. 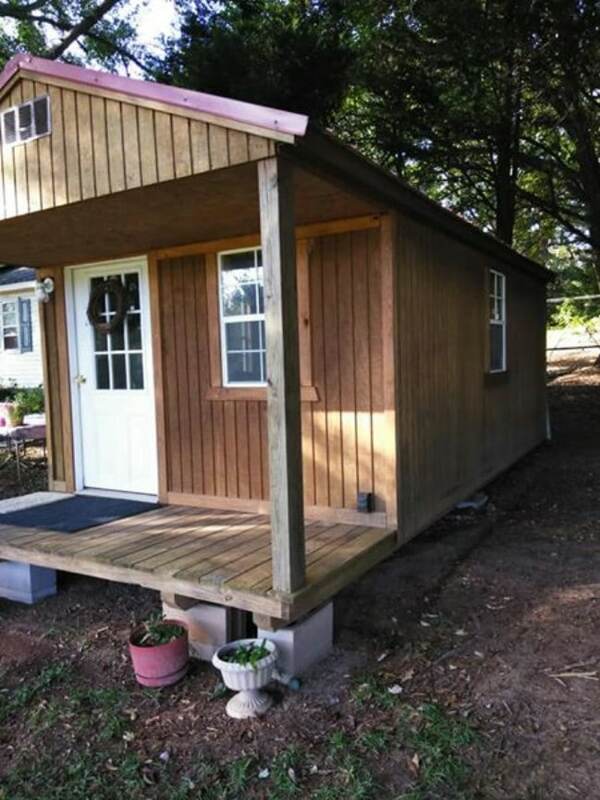 It looks like you could probably get away with using some of that space underneath the porch for storage. 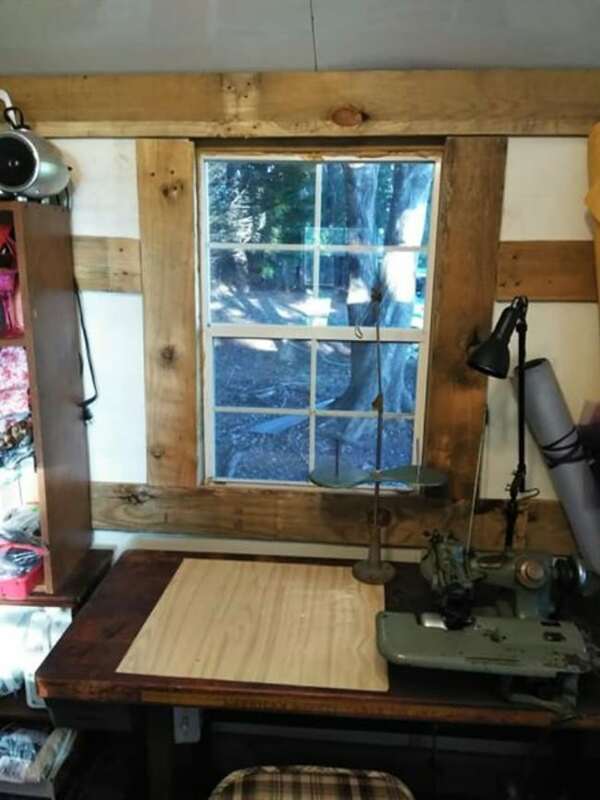 Here is what it looks like inside the tiny crafting studio. 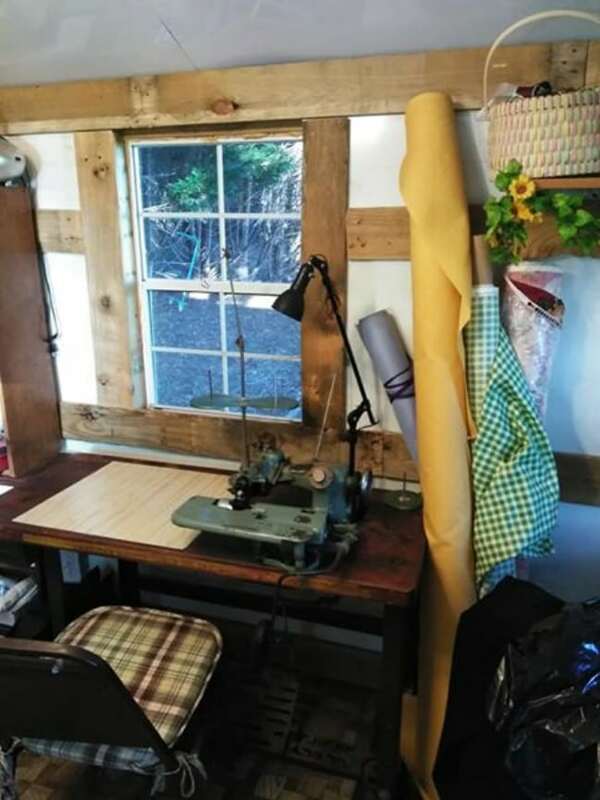 Since this tiny house was devoted specifically to crafting, the entire environment is set up to support textile work. I don’t know a lot about sewing, but I assume what we are looking at here is one of the vintage industrial sewing machines. The window in front of the workspace lets in natural light, making it easy to focus even on detailed work. You also can look out at enjoy the scenery when you need a mental breather. Trying to start up a crafting business from square one with no supplies is pretty tough, especially if you do not have a lot of financial resources. 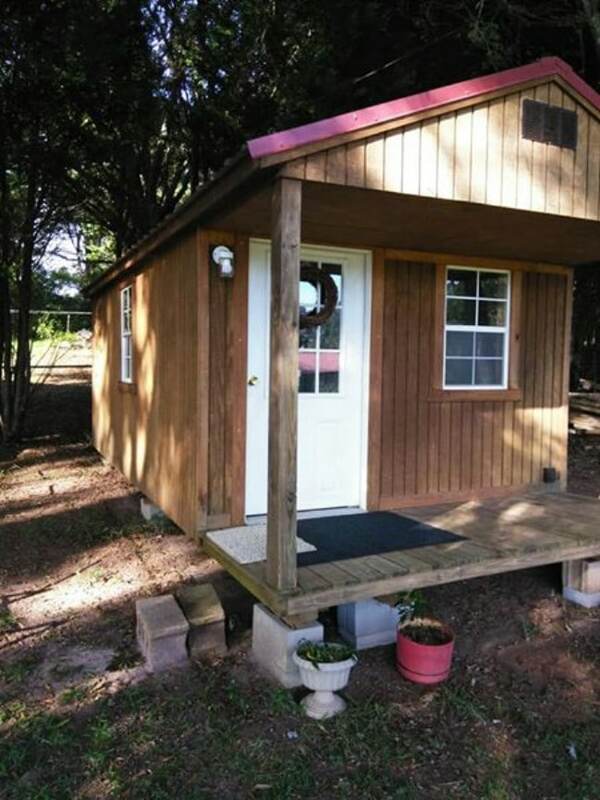 So for someone who is looking to kill two birds with one stone, it is hard to beat an offer of a tiny house and high-quality supplies for one price. The value here is truly phenomenal. Whether you are a hobbyist or you want to go pro, it is an opportunity you do not want to pass up. 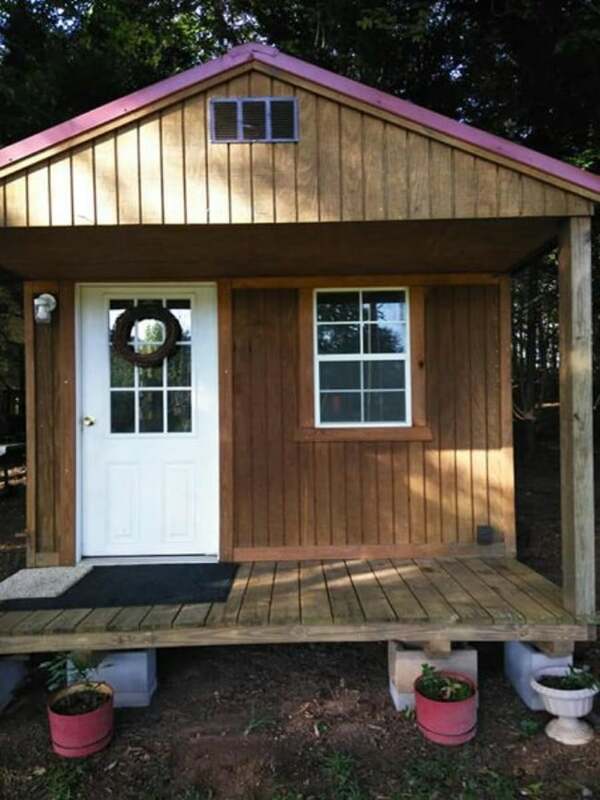 If you wish to learn more or contact the seller, visit the listing on Tiny House Marketplace.